AMAZING PRICE! Lower West Milford, close to Rt. 23 and schools. Do not miss this one! What a great opportunity to create your dream home...bring your ideas and make this one shine! 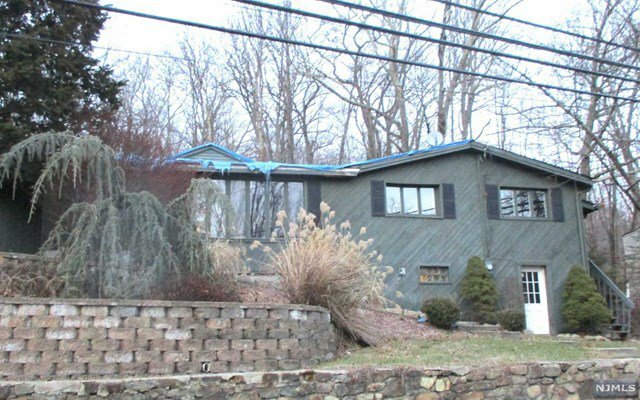 Situated on over an acre of land, backed by mountains and woods. Amazing privacy...great potential. This home features a living room with high ceilings and a stone fireplace ready for a wood stove for savings on your heating bill. Eat in kitchen/dining room with walk out to the yard. The master bedroom with cathedral ceilings and skylights has sliders to the deck, a private bathroom and walk-in closet. Not one to be missed! Buyer responsible for all certs and inspections. Listing courtesy of Keller Williams Village Square Realty. Selling Office: Outside Broker.